CAMBRIDGE, England – In what appears to be a serious setback for evolutionists, a team of researchers from Cambridge University discovered that DNA and the way it is affected by modifications are much more complex than previously thought. A group of scientists with the University of Cambridge recently published a report in the journal “Nature Structural and Molecular Biology,” in which they describe their findings on epigenetic modifications. Epigenetics is the study of how genes in organisms are switched on and off. The researchers’ journal article, titled “Identification of methylated deoxyadenosines in vertebrates reveals diversity in DNA modifications,” explains how different modifications affect DNA. Their research resulted in the discovery of a new form of genetic modifications and also led them to the conclusion that the genome is more complex than they anticipated. Not only is the genome more complex than previously thought, but the number of modifications that affect it is higher than predicted. 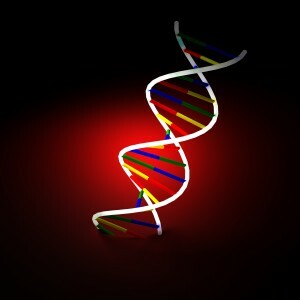 “Direct DNA modifications might be more widespread than previously thought,” the team’s journal article abstract says. A statement from the University of Cambridge further explained the significance of the scientists’ findings but also noted that these discoveries likely only scratch the surface of epigenetic modifiers. The bottom line? The genome continues to show evidence of complexity and precise design.